Are you a disciple-maker looking for a great example of what it might look like to raise up prayer for your state or province? If so, check out the #Pray4Colorado campaign. They have now begun praying in earnest for a disciple-making movement in Colorado. 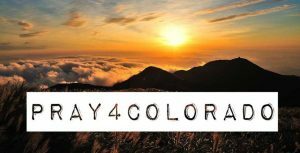 The #Pray4Colorado email newsletter is a daily prayer guide to help interested partners focus their prayers on revival and movement within the state. Either way, if you could check it out and say a prayer them, it would help them get things rolling. Thanks!